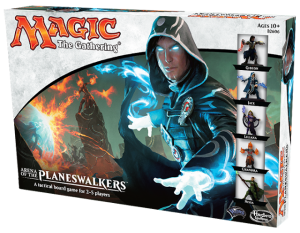 We’ve already talked quite a bit about Magic The Gathering: Arena of the Planeswalkers. The wait for the Heroscape-inspired game is in sight! The game will be hitting store shelves on August 1st for a retail of $29.99. I’ll be sure to post my thoughts once I get my hands on the game. This is one I’ve been waiting for since the first whispers of it.